135 Beacon is located on the south side of Beacon, between Arlington and Berkeley, with 133 Beacon to the east and 137 Beacon to the west. 135 Beacon was designed by architect Edward C. Cabot and built in 1859-1860, one of two contiguous houses (135-137 Beacon). 135 Beacon was built as the home of Samuel Hammond Russell and his wife, Louisa Ann (Adams) Russell. They previously had lived at 99 Boylston. They also maintained a home in Nahant (which was destroyed by fire in the late 1890s). 137 Beacon was built for his aunt, Catherine (Hammond) Gibson. The land on which 135-137 Beacon were built was originally part of a larger tract purchased from the Commonwealth of Massachusetts on August 1, 1857, by William Warren Goddard and T. Bigelow Lawrence. On September 1, 1859, they sold the lot where 135 Beacon was built to S. Hammond Russell, and the lot where 137 Beacon was built to Catherine Gibson. Click here for in index to the deeds for 135 Beacon. After 135 Beacon was built, it extended slightly onto the lot to the east, still owned by William Goddard and T. Bigelow Lawrence, and on November 21, 1860, they sold a strip of land 8/100ths of a foot wide to S. Hammond Russell to reflect the actual width of the lot. A former merchant, S. Hammond Russell was a trustee of estates and also served as treasurer of the Bunker Hill Monument Association. He died in October of 1894. Louisa Ann Russell continued to live at 135 Beacon until her death in March of 1902. The house was not listed in the 1903 Blue Book. 135 Beacon was inherited by the Russells’ daughters, Edith (Russell) Playfair Crooks and Alice (Russell) Fitzgerald, both residents of England. Edith Russell had married in October of 1878 to Sir Lyon Playfair, a professor of chemistry and Liberal Party leader who was named Baron Playfair in 1892. He had died in May of 1898 and she remarried in 1901 to R. Fleming Crooks. Alice Russell had married in October of 1900 to James R. Fitzgerald, a retired officer in the British civil service in India. On September 11, 1903, 135 Beacon was purchased from Edith Crooks and Alice Fitzgerald by Georgianna West (Graves) Perry, the widow of merchant Charles French Perry. Living with her were her four children: Elizabeth Lejee Perry, Gardner Browne Perry, William Graves Perry, and Edward Hale Perry. Elizabeth Perry married in October of 1906 to Henry Hyslop Richardson, a real estate dealer. After their marriage, they lived in Brookline with his mother, Julia Gorham (Hayden) Richardson, the widow of architect Henry Hobson Richardson. William Graves Perry married in August of 1908 to Eleanor Gray Bodine and they soon moved to Paris where he studied at the Ecole des Beaux Arts. 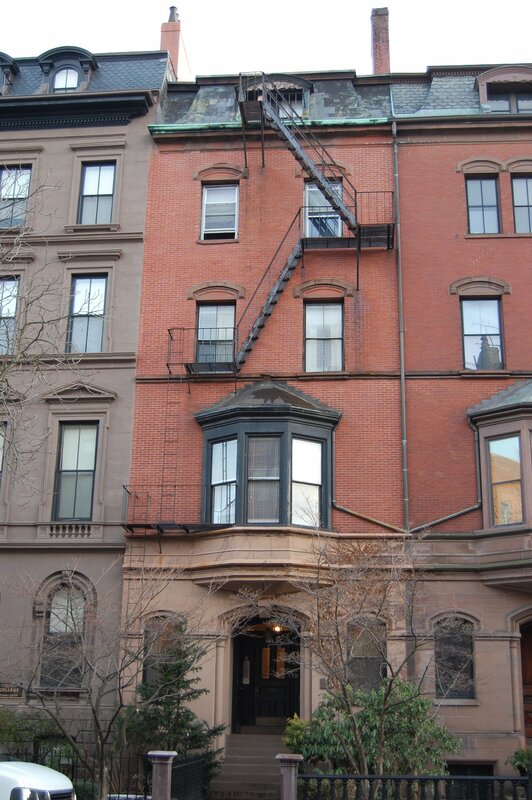 He graduated in 1913 and, after they returned to Boston, they lived at 135 Beacon with his mother. He was an architect and later would be largely responsible for the restoration of Colonial Williamsburg. Gardner Perry was a stockbroker and banker. He continued to live at 135 Beacon until 1914, when he moved to Albany, New York. Edward Hale Perry was a mining engineer. He was killed in action in March of 1918 in France. 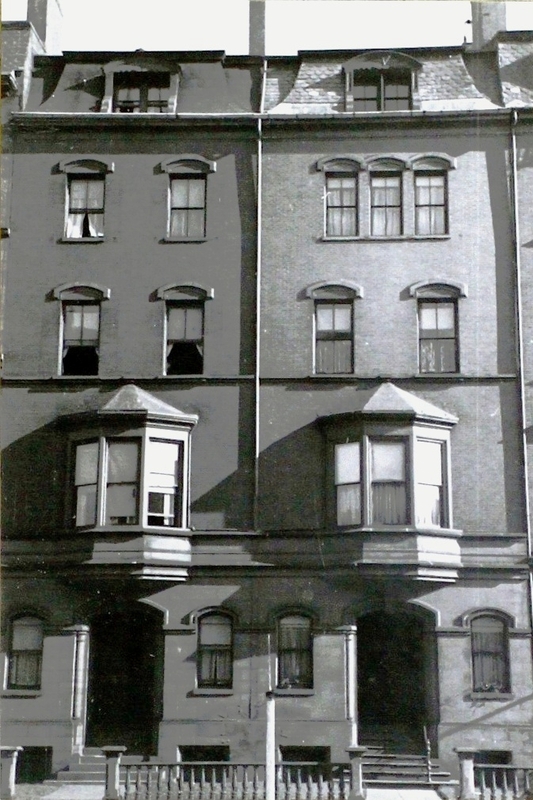 Georgianna Perry and William and Eleanor Perry continued to live at 135 Beacon during the 1915-1916 winter season but were living elsewhere for the next few seasons. During the 1916-1917 winter season, 135 Beacon was the home of attorney Frederic Sprague Goodwin and his wife Juliet Borland (Higginson) Goodwin. They had married in September of 1916 and 135 Beacon probably was their first home together. They also maintained a home in Dover. Prior to their marriage, he had lived at 301 Beacon . 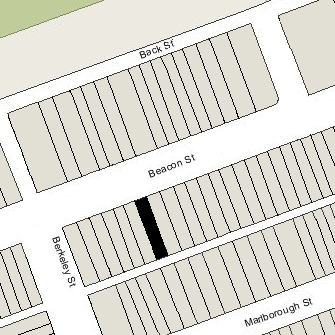 They had moved from 135 Beacon by the 1917-1918 season, and by the 1918-1919 season were living at 15 Gloucester. During the 1917-1918 winter season, 135 Beacon was the home of Paul Drummond Rust and his wife, Florence R. (Stuart) Rust. They had lived at 338 Beacon during the previous season. Paul Rust was an investor in timber lands, wholesale lumber dealer, and investment banker and broker. They moved soon thereafter to 353 Commonwealth. By the 1919-1920 winter season, 135 Beacon was once again the home of Georgianna Perry and William and Eleanor Perry. They continued to live there until about 1922; William and Eleanor Perry also maintained a home in Medfield. By 1923, they had moved to Brookline. By 1922, 135 Beacon had become the site of McClintock School, also located at 4 Arlington (where it had been founded in 1908 by Miss Mary Law McClintock). Mary Law McClintock died in January of 1925, and her sister, Euphemia E. McClintock, appears to have inherited the school. Euphemia McClintock had served as president of the College for Women in Columbia, South Carolina, until it merged with Chicora College in 1915. She moved to Boston and, by 1920, was living at 129 Beacon. She probably first was a teacher in her sister’s school, but by late 1923 had established her own institution, Erskine School, at 115 Beacon. After Mary Law McClintock’s death, McClintock School soon ceased operation at 4 Arlington. On September 5, 1925, Euphemia McClintock purchased 135 Beacon from Georgianna Perry and it became Erskine School. At about the same time, Euphemia McClintock ceased leasing 115 Beacon (which became a private home again) and acquired 111 Beacon. 135 Beacon remained an Erskine School dormitory until about 1951. On September 15, 1950, 135 Beacon was acquired by real estate dealer Thomas J. Diab. In February of 1951, he filed for (and subsequently received) permission to convert it from a single-family dwelling (it apparently had never been formally zoned as a school or dormitory) into nine apartments. On October 31, 1951, the property was acquired by Thomas Diab’s real estate company, Baid Realty Corp. (Baid being the reverse spelling of Diab). On January 9, 1952, 135 Beacon was acquired by Miss Irene Louise Pitz, a nurse. She lived in one of the apartments. On April 30, 1984, 135 Beacon was purchased from Irene Pitz by Jerome L. Missel and Margaret M. Huddleston. In November of 1984, they converted the property into ten condominiums. Three years later, in May of 1987, Jerome Missel filed for (and subsequently received) permission to increase the legal occupancy from nine units to ten units, conforming with the existing number of condominiums. On March 21, 1989, W. Douglas McKenzie purchased nine of the ten units from Jerome Missel and Margaret Huddleston. They retained Unit 3, which Margaret Huddleston transferred to Jerome Missel on March 29, 1991, and he sold to W. Douglas McKenzie on July 31, 1997. On August 14, 1998, the 135 Beacon LLC purchased all ten units at 135 Beacon from W. Douglas McKenzie, and on November 12, 1999, they were purchased by Joseph F. Perroncello and his wife, Lisa G. Perroncello. On June 25, 2009, the Perroncellos removed the condominium status of the building, re-establishing it as an apartment house. The property subsequently changed hands. It remained an apartment house in 2015.